Looks rad! 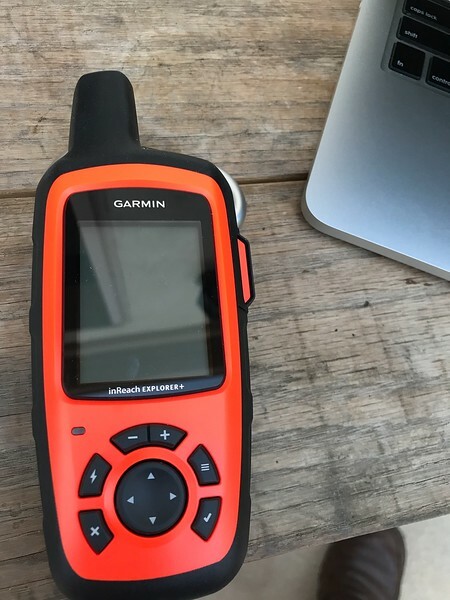 I've been looking at the Delorme InReach system for the 2-way comm but have been a happy SPOT subscriber for almost 10 years. I'm seriously considering upgrading to this. That does look pretty nice. I'm paying over $200 a year for my Spot 3. Can get 2 way messaging for a little less with this one. Maybe they will give existing Spot users a discount? They may also keep raising the plan prices once they get you in their claws, like they did to me with Spot3. Thanks for posting this. First I've heard of it. Thrilled to see this. I have been looking at all the different options for the last year or so. I hope this unit works well. I would love to get some real life experience and opinions of this product. I wonder what the lag time is between messages. Did this product just come out? Looks pretty similar to the Inreach. Competition is a good thing and IMO if Spot hadn't come out with this they would be out of the market in the near future. Maybe this will force Garmin to cut the price on their latest offerings. Doesn't say if you can suspend service like you can with the Inreach. I deactivate my Inreach when I don't have any trips planned. What's with the $20 activation fee? Fees are something that turned me off of the Inreach. I want to see how well the Spot works, but it definitely has my interest. All annual plans are subject to a $19.95 activation fee. No charge applies to changing to a more inclusive annual plan; a $24.95 fee applies to changing to a less inclusive annual plan. Same here. The inreach tracking gets expensive quick. I think I'm going to pull the trigger and get a spot X to try out. I hope I can get it before heading out to overland expo next week. Personally, I'd rather not have to worry about having two devices being charged and also not broken. Since spot started offering device rentals, I wonder if they'll somehow extend that to this. You don't have to pair it. It's just an option. I usually have my inreach in my backpack pocket and my phone in a holder on my chest protector. The bluetooth is a really nice feature but not a show stopper. 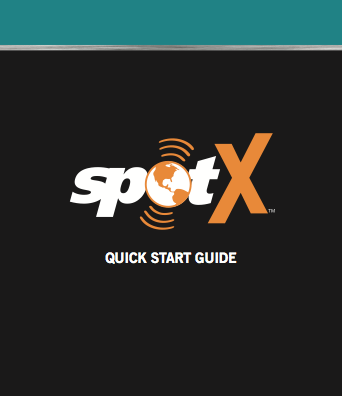 One thing Spot doesn't talk about is the procedure to text to the Spot X. On the Inreach the easiest way is to reply to a text sent from the Inreach. There's no fixed address that a user can use to initiate a message to it via text. You can go to your mapshare web page and send a message from there. Wonder how Spot is approaching this aspect? I don't see any mention of it on their website or the quick start manual. Good point. I've had no first hand experience with the inreach but came close to purchasing one just recently. I reached out to spot for more info. I'll post it here when I get it. Dedicated cell number for the Spot X. I like that. Wonder if Garmin will adopt something similar? Not ready to jump ship yet but it looks like formidable competition for Inreach. Well this Spot X looks to be a good addition to the communicator market. I just bought into the Garmin InReach device and found it to be much easier than I imagined to use. The Bluetooth function was pretty much effortless to use and had the benefit of easy access to All your contacts. Once you send a message to family or anyone their reply is much like responding to a call. In other word, they have your contact number be it through InReach. The stand alone messaging on the Garmin is pretty flexible as well, with pre-set message, and jog dial writing. I found the Weather intel for be valuable when there is no local cell connect. For me the tracking on the InR is only good as a backup to the Montana. The small screen works fine because I don't use the mapping much. The qwerky(sp) keyboard is a big plus on the X. That big screen on the X is another advantage. I currently am paying $250 annually for the Spot 3, including 10min tracking, device replacement and $15 Network Maintenance. Network Maintenance is a BS adder in my opinion. So, pretty pricey for the value. My device will be shut down this month before renewal. I’m going to buy ‘something’ Soon. Watching this thread with great interest. I need to be able to hit the ‘all is good’ button for wifeys comfort when I’m riding and camping off-grid. Not to mention for worst case scenario. 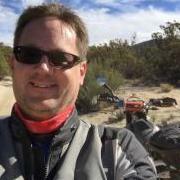 I was hoping to get my hands on at overland expo, where I'm currently at. But they didn't show up, empty booth space where they were supposed to be. I wonder what that's about. Garmin is here and I spoke with them and they sold out of all the new minis they brought. Review of all the 2-Way Messenger devices. Have the Spot Gen3. No frills, just confidence on the trail. I also like that if I crash and can't push any buttons, after a 1/2 hour of non movement it sends out a message to whom ever you select in advance. I bought one cheap on Craig's List and it was easy to shift from the past user over to me. I'm pretty sure the Gen 3 doesn't send a message like you describe Mark. It will stop sending tracking info after some period of time when you stop moving. That is a good thing, cause if you do crash and can't press any buttons your last known point will show up on your tracking page and show that you have been there for a while. Hopefully that last transmitted point is where you are actually located. Likely it is. Could help someone find you if you are out cold. Not an expert but just don't want you to trust a feature that may not be there. Because of old age and forgetfulness, I left my Gen 3 on for 2 weeks. It never sent any messages, but did start tracking again when I moved it. Those batteries last. Oh! I see what you mean. I hope when my sweetie dose'nt get the okay signal in a decent amount of time that she calls the Mounties! Thanks amgems! Hey guys, something felt funny about the discussion of a Spot Gen3 sending an inactivity message if the device is stationary for a while. I just logged in to my Spot account to verify this, and found that "I do have" the "Movement Alert" feature enabled. Here is how it's done: Log in to your Spot account. Select your device and go to "device settings" "Enable Movement Alerts" (orange section) Then, Select "Movement Alert Rate" you can choose from 30 min, 1 hr, 4 hr, or 12 hr. I chose 1 hr. Since I figure that we stop for 30 min max on our rides for water and pee breaks, so a one hour setting would be about right for me. Then type in the message that you want sent and the email address and phone number (s) that you would like to contact. It's that easy. Hopefully I'm not bleeding out... but hey, you know what they say "He was doing what he loved" Hope this helps folks decide on a tracker that fits what they want for it to provide.